Here is encouragement--and help--for where you "are in your spiritual journey, rather than where you "ought to be. You already know from experience that things aren't always what they could be, especially in the spiritual realm. That " quiet time" with God isn't necessarily " quality time." That a regimented, daily devotional time doesn't automatically translate into a disciplined, devotional lifestyle. But experience has also told you--and within your spirit you believe--that it "can be different. That you can come away from devotions feeling renewed and refreshed. That " failure" doesn't have to describe your spiritual walk. That God offers grace rather than guilt for those who want to know Him. So how do you move from the reality of your everyday life--with its distractions, disruptions and dry times--to the realm of wondrous possibility? How can you discover the joys of a more committed friendship with the Lord? How do you develop a rich, devotional lifestyle that meets your heartfelt needs without ignoring your daily concerns? 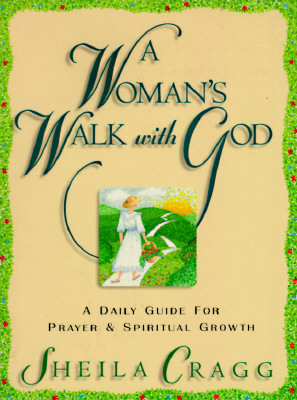 "A Woman's Walk with God is the place to start. Between the creative devotional ideas, the daily Scripture reading and study, the weekly themes that build on each other, and the application questions presented in the quiet times, this " Bible study about how to have a devotional life" strikes an excellent balance between doctrine and practice. It's exactly what you need to fashion the kind of spiritual life you've longed for and envisioned: one that is personal, consistent--and a continuous source of refreshment.